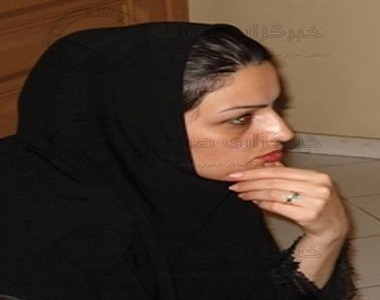 HRANA News Agency – “Masoumeh Zia” who was arrested in the gathering of “Erfan-e-Halgheh” Faith(Interuniversalism) followers, was transferred to Ward 2-A (supervised by the Army of the Guardians of the Islamic Revolution Intelligent Services) at Evin Prison. According to the report of Human Rights Activists News Agency (HRANA),Masoumeh Zia was previously arrested on the charge of participating in the Women’s gathering at “Haft-e-Tir” Square on 12 June, 2006. After she attended the “Erfan-e-Halgheh” faith (Interuniversalism) gathering in protest to the arrest of Mohamad Ali Taheri in front of the Islamic Revolutionary Court, she was arrested and transferred to Ward 2-A (IRGC) at Evin Prison. It is important to note that “Masoumeh Zia” was sentenced to 1 year probation back in 2006. This sentence was given to her based on the charge of attending the peaceful Women’s gathering which intended to change discriminatory laws against women on 12 June, 2006. It is also important to mention, that after attending of the followers of “Erfan-e-Halgheh” faith (Interuniversalism) to a gathering in protest to the arrest of Mohamad Ali Taheri in front of the Islamic Revolutionary Court, 70 of these followers were arrested by the security forces. All of these citizens are now released after signing affidavits apart from “Masoume Zia”, “Narges Farhadi”, “Malihe Biganian” and “Iraj Amidi”.